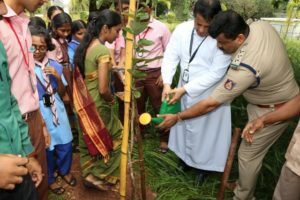 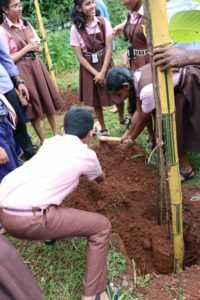 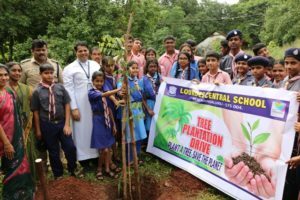 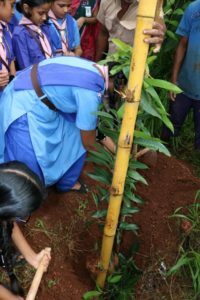 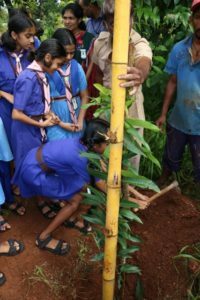 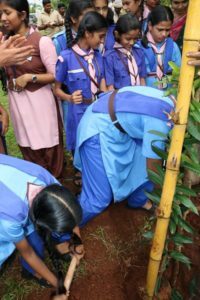 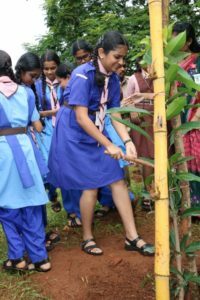 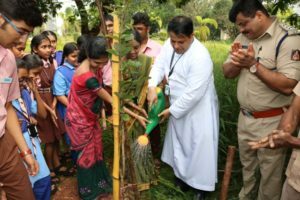 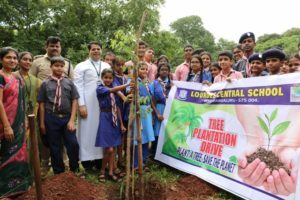 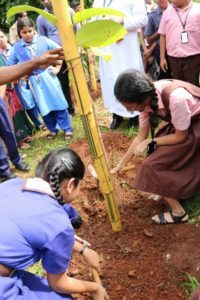 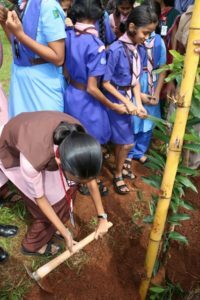 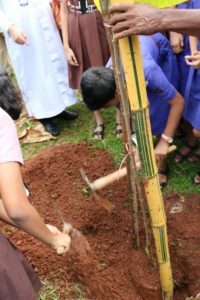 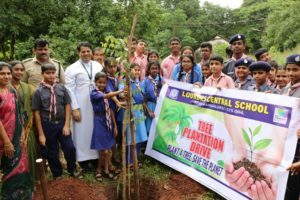 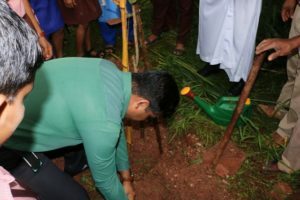 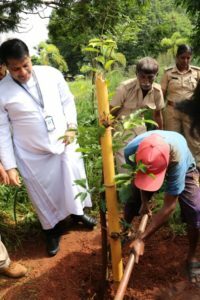 On the occasion of Vanamahotsava, the school organized Tree Plantation Drive on 21st July 2018 for the students of the eco club and scouts and guides from classes VI to VIII. 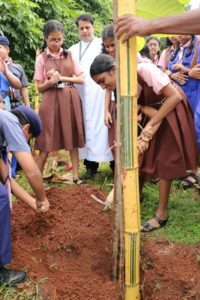 The Gardening ministry, the head boy and a few other ministers also provided a helping hand for the success. 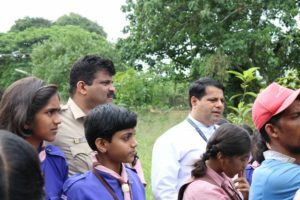 The students boarded the bus at 9:15 a.m. and reached the destination, the circuit house, by 9:20 a.m. 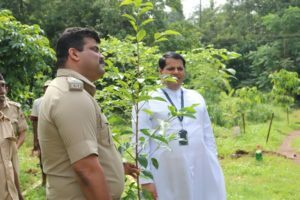 They were genially welcomed by the forest officials, lead by the Range forest Officer, Mr. P Sridhar. 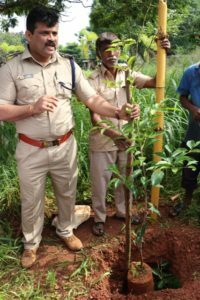 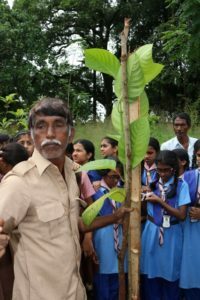 He briefed us on the importance of various plants like rosewood, red sandalwood, Ranja(mimusops elengi).He also demonstrated the steps to plant a sapling. 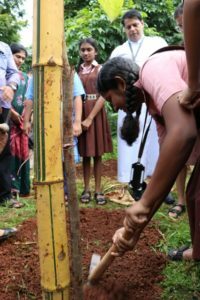 The steps are as follows: We begin by cutting the bag containing the sapling, putting it into a pit containing a source of nutrition (branch/manure), the pit is then filled with soil again. 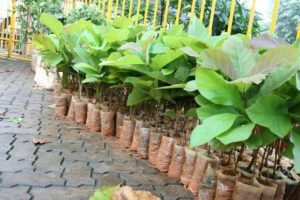 He also briefed us about the various uses of the plants that were planted by the students like Simarouba which is used to treat diseases. 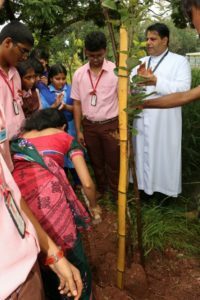 The Principal along with the teachers and students accompanied in planting the sapling. 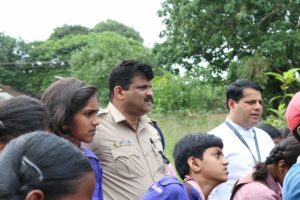 Then the students were given refreshments by the Forest department and reported back at school by 10:45 a.m. 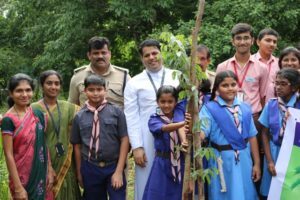 The overall session was very informative. 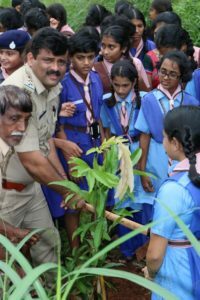 Later in the afternoon at 1.00 p.m. the Range Forest Officer Mr. P Sridhar addressed the students and briefed on Social Environment, Environmental Awareness and Ecological Environment. 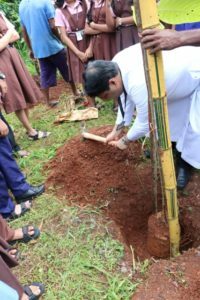 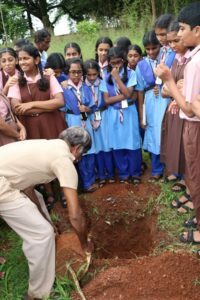 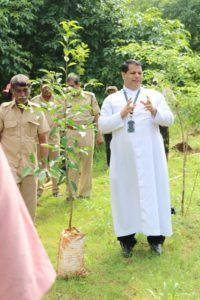 He stressed that students should preserve nature by planting saplings for future generations. 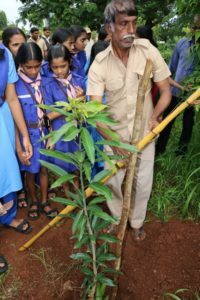 He urged them to plant a sapling and nurture it on their birthdays. 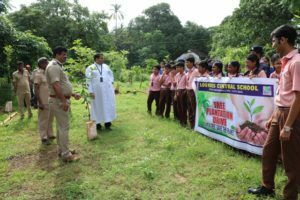 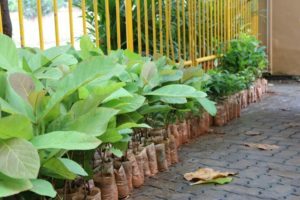 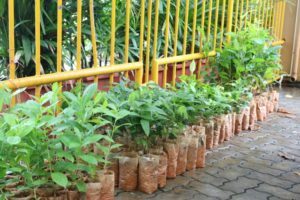 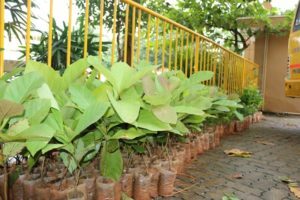 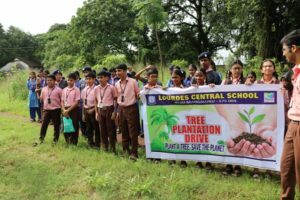 Around 500 saplings were distributed to the students by the Forest Department.